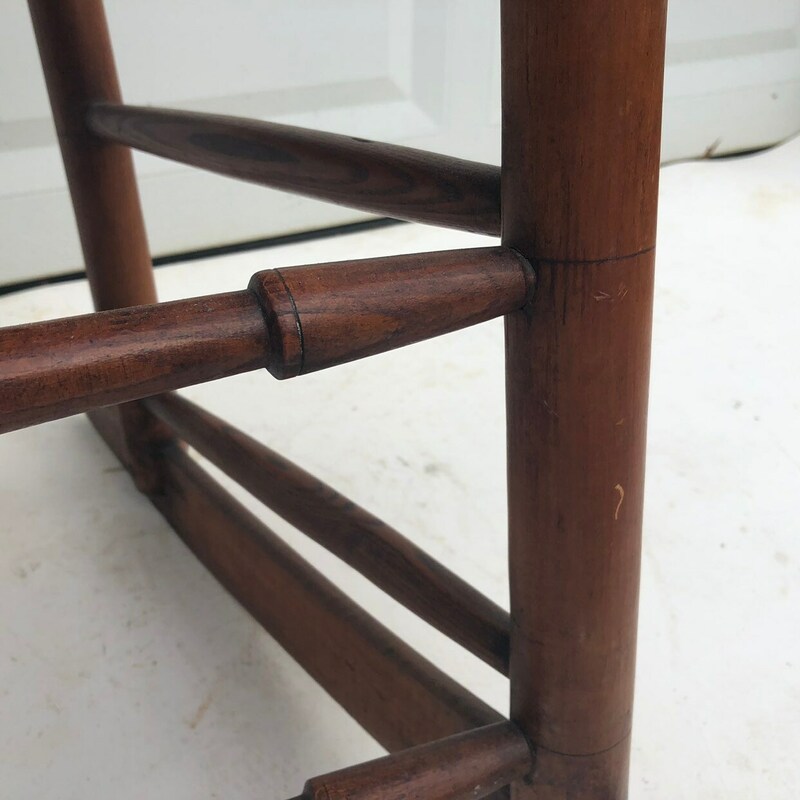 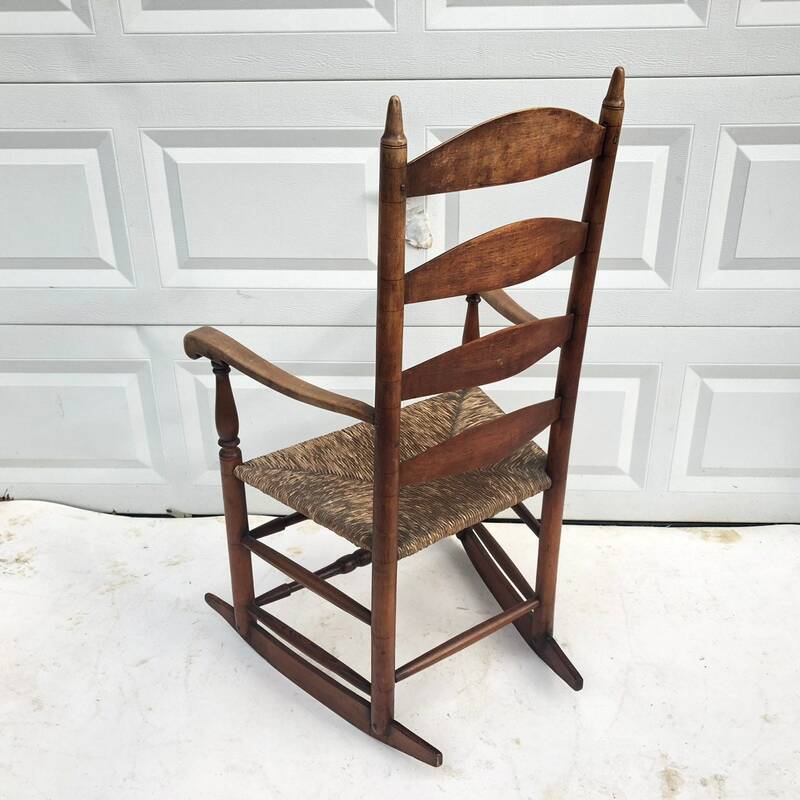 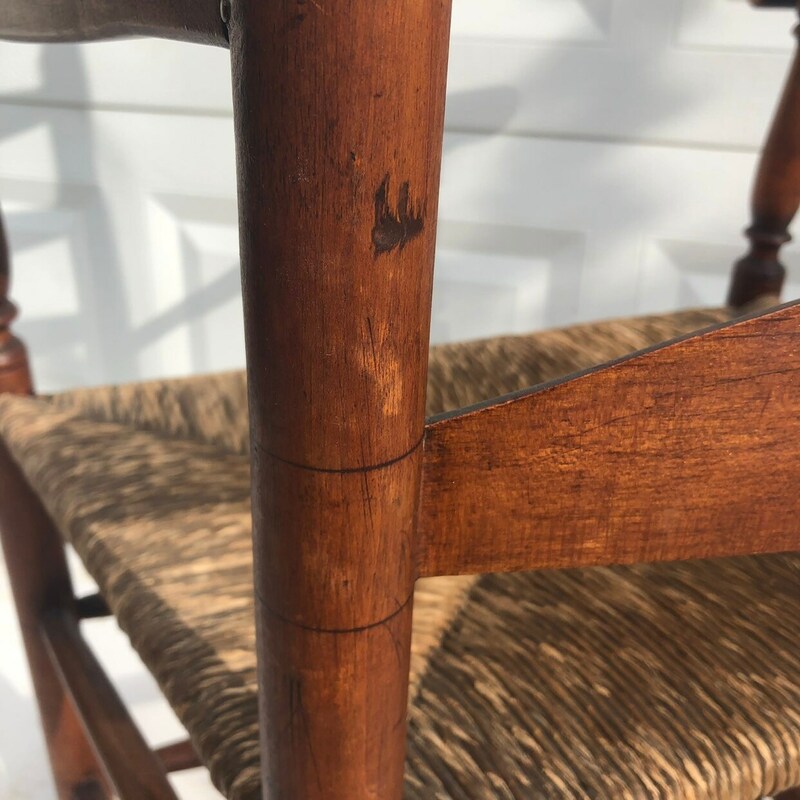 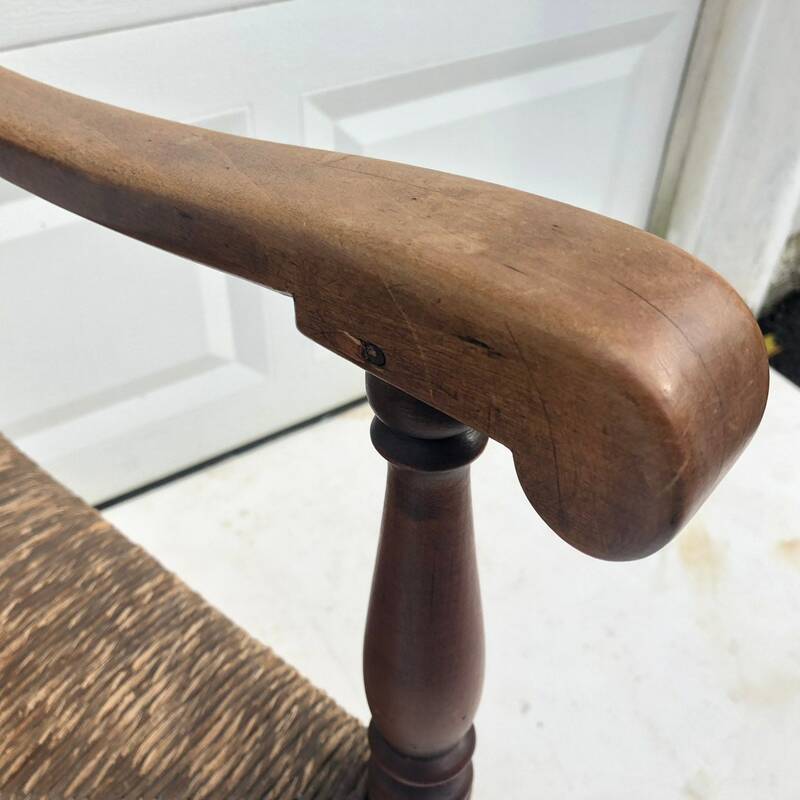 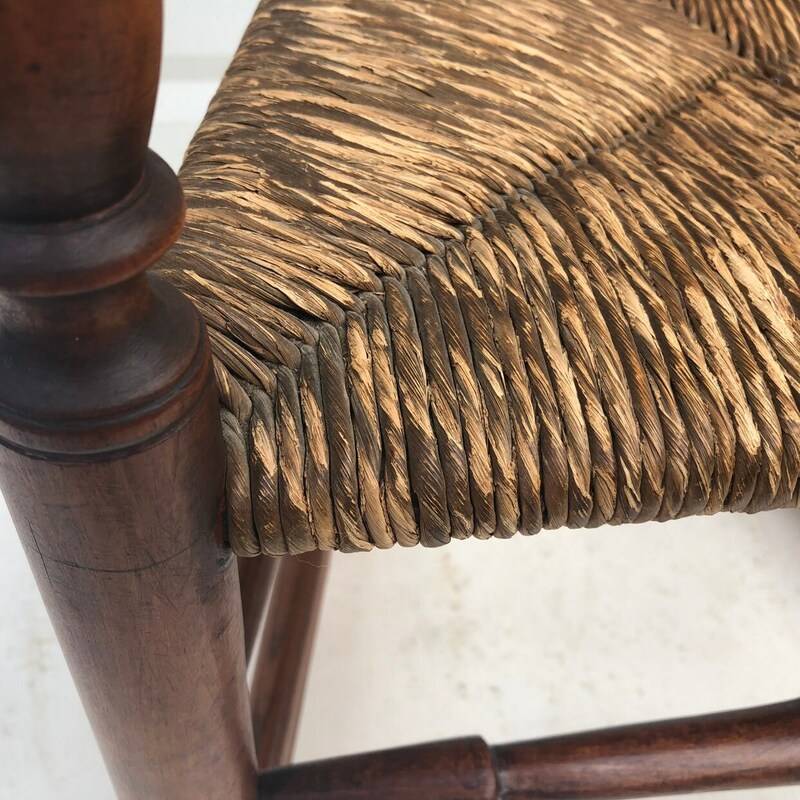 This beautiful antique rocking chair features sturdy vintage construction, comfortable high back design, and woven rush seat. 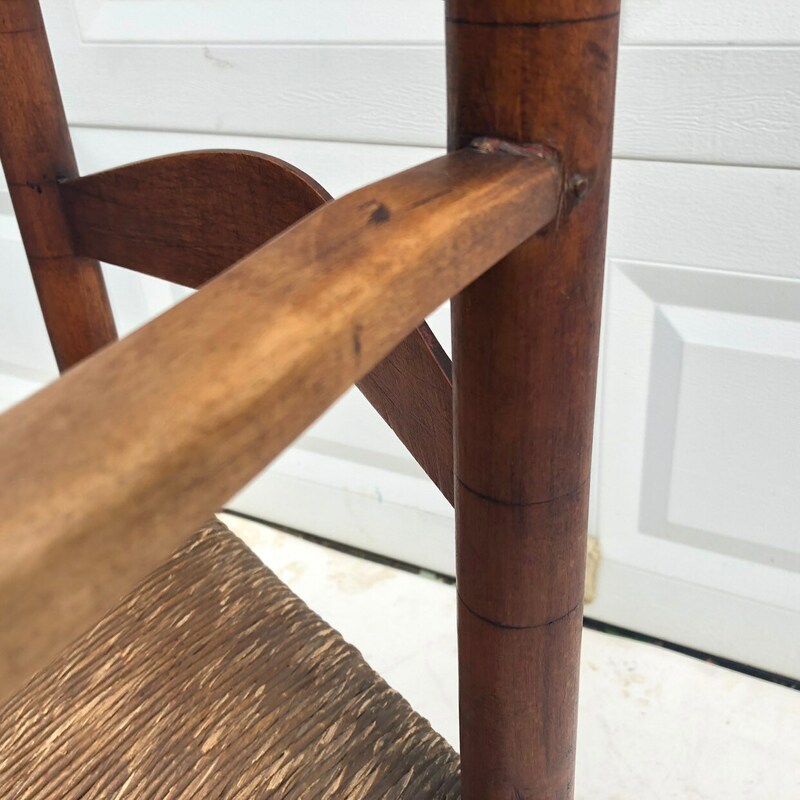 Rustic farmhouse style addition to interior seating, sturdy enough for a full grown adult to use with unique patina/wear from age and use. 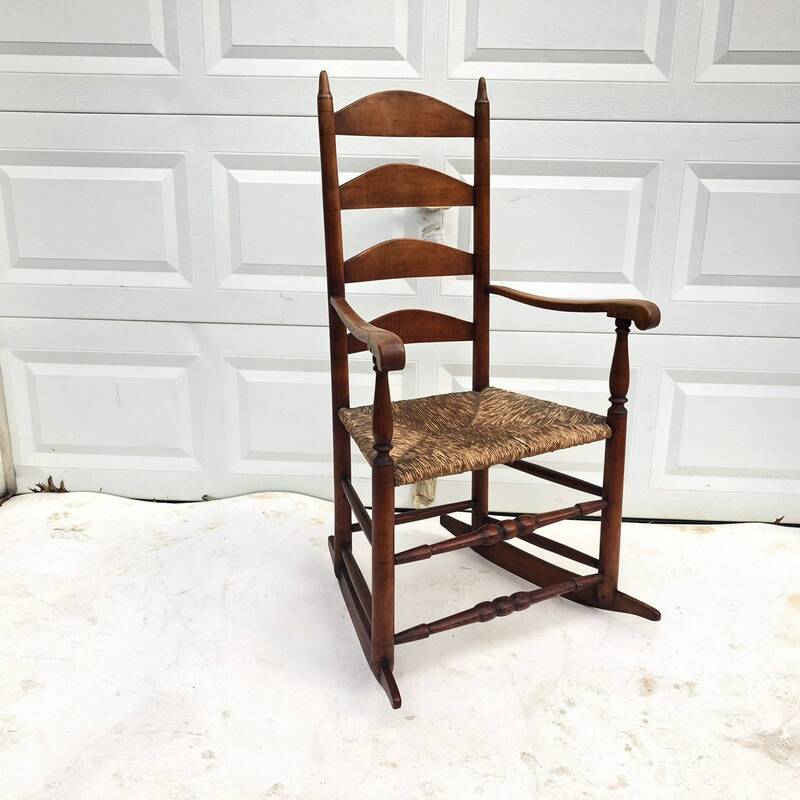 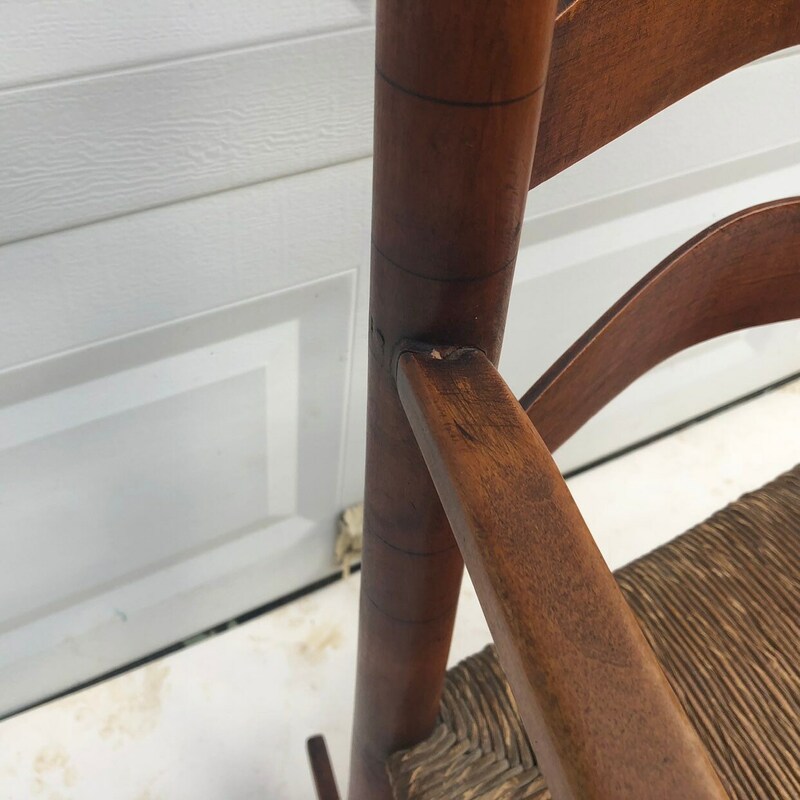 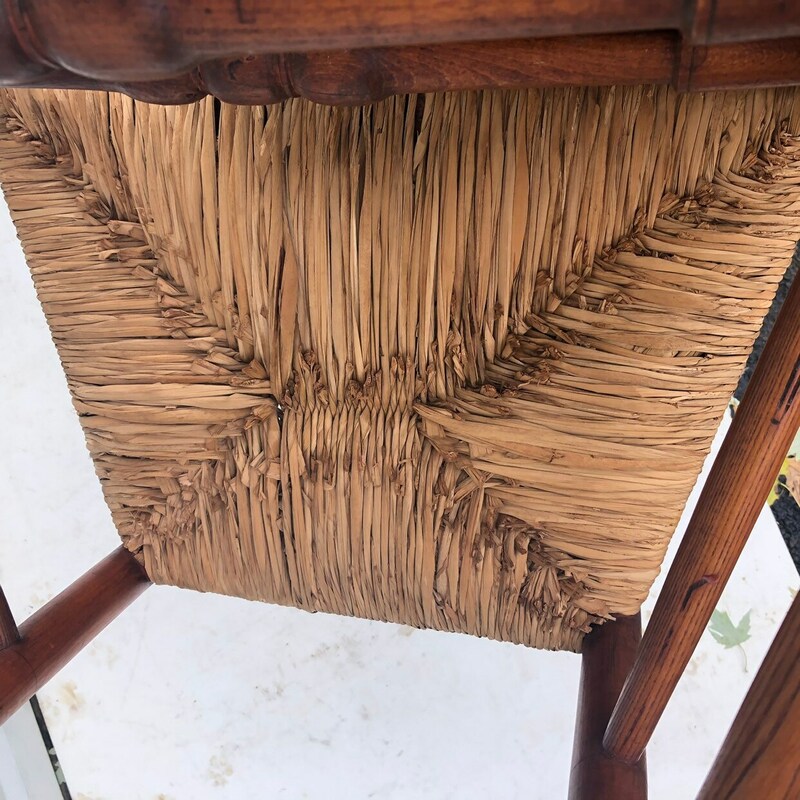 Condition: age appropriate wear, some scuffs/scratches/stains, vintage rush seating worn/stained/hardened in areas, some nail pops, dings, etc. 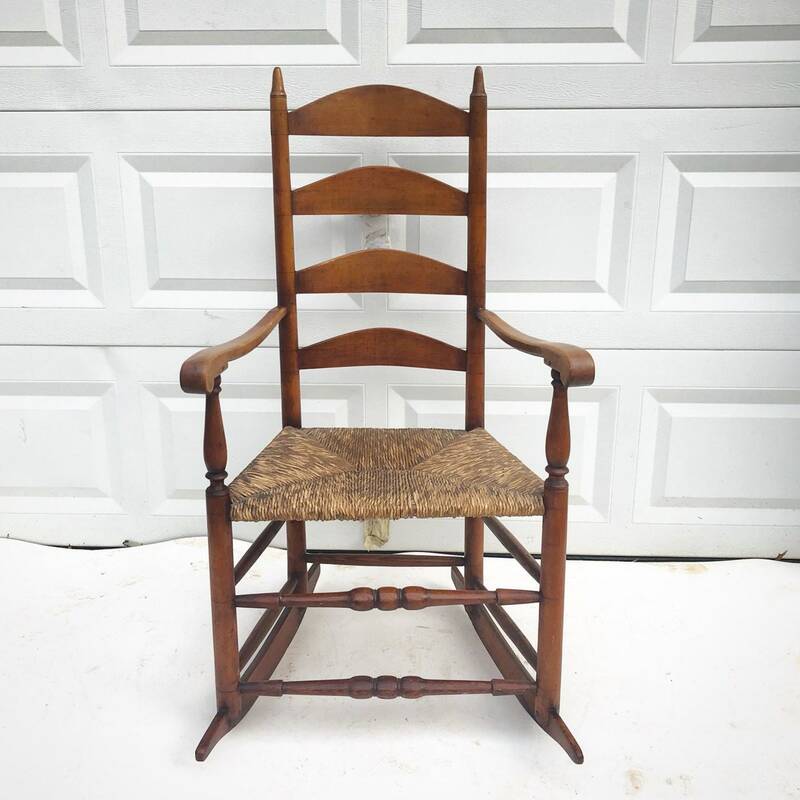 NOTE- Additional delivery Cost is the responsibility of the buyer- cancelled orders subject to 25% restocking fee.